With the need for a more functional kitchen, a 200-square-foot breakfast room addition was born. 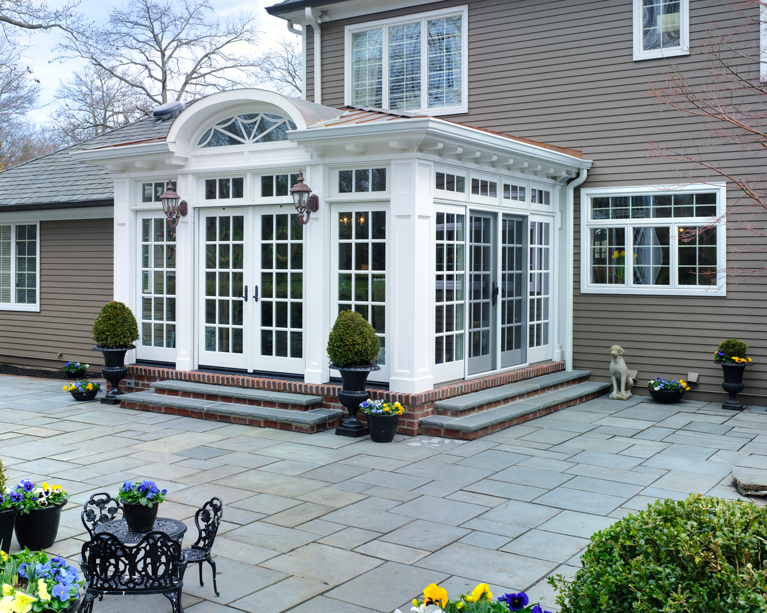 Curtiss W. Byrne Architect designed the space to look and feel like a conservatory. 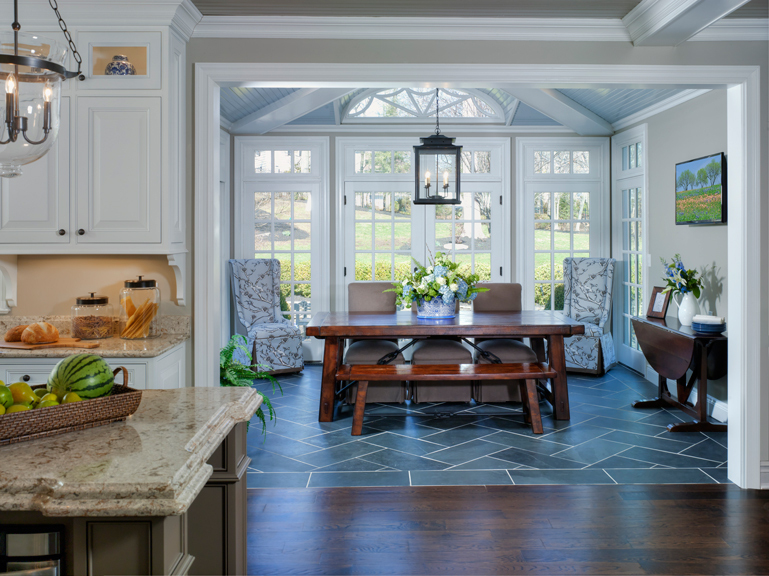 A vaulted tongue-and-groove ceiling as well as two sets of patio doors leading to the bluestone patio allow natural light to fill the room. Precise detailing was required to conceal structural members and maximize the amount of glass and the height of the vaulted ceiling. 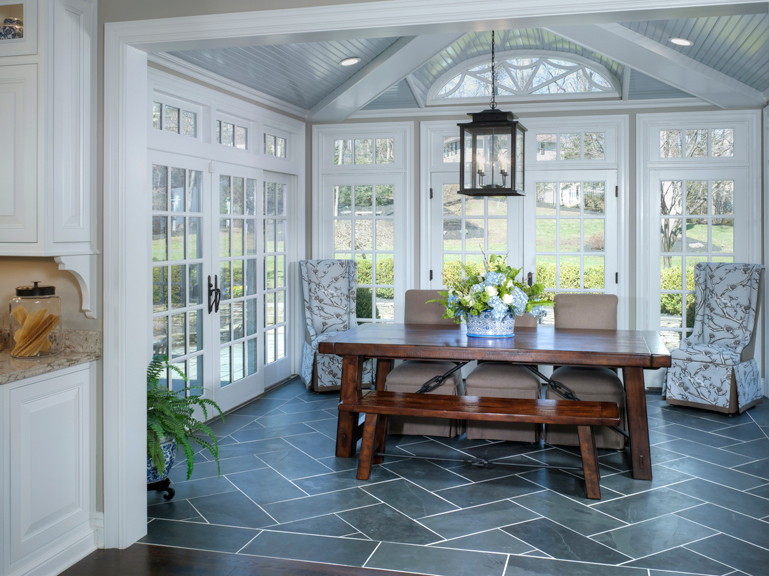 The space also features heated, slate-tile flooring. An elliptical eyebrow transom punctuates the standing seam copper roof and continues the scalloped-grille theme on the front of the home. Now more than just a breakfast room addition, the space has become a gathering spot for meals, entertaining, doing homework or just simply hanging out. This addition is a nice blend of materials and textures. 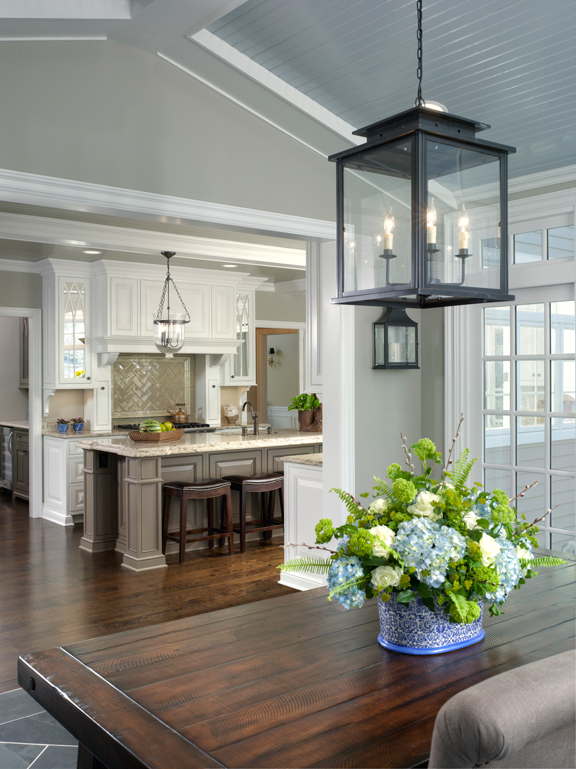 The space is very inviting and has a great flow with the adjoining kitchen.